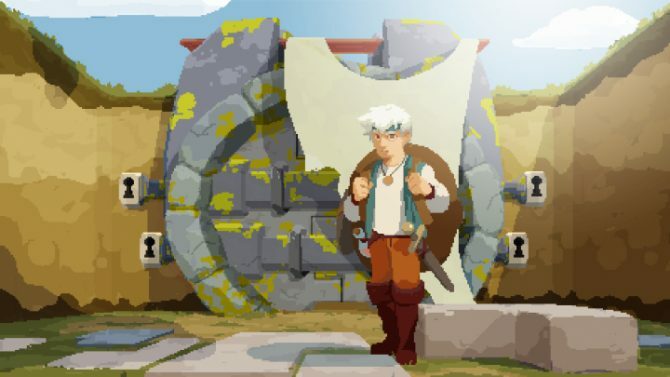 My initial impressions of Moonlighter might be a bit much considering I only got my hands on the game for about 30 minutes at this past weekend’s PAX East 2018. But I have to say that even in the short amount of time that I had with it, the game really surprised me in a lot of ways. 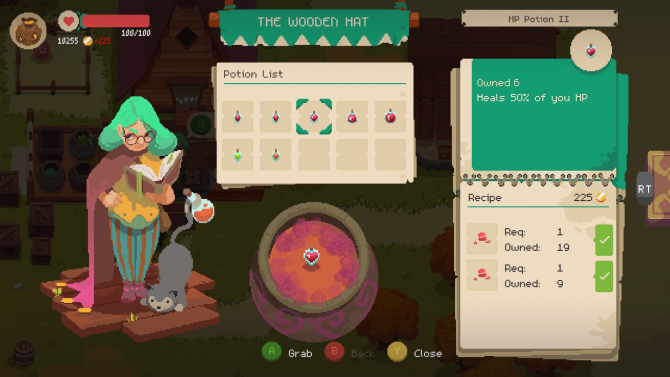 Moonlighter puts you in the role of a young shopkeeper who dreams of becoming a hero someday. 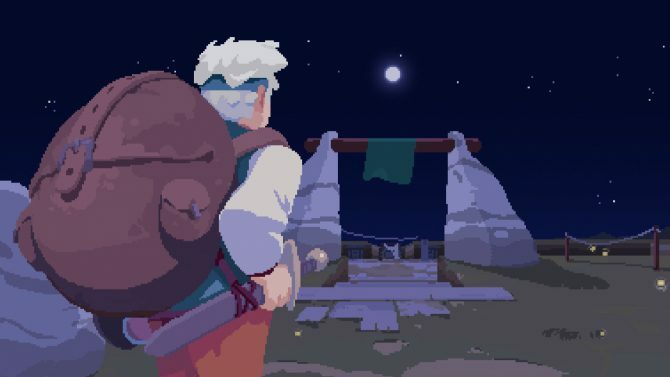 Moonlighter‘s charming aesthetic has no business looking as good as it does. 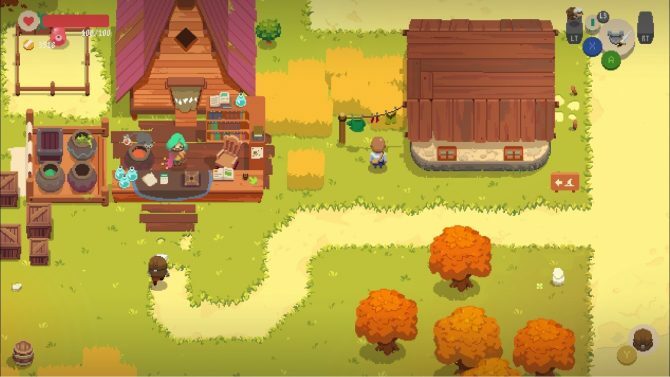 While we see developers go with a pixel art style pretty often nowadays, Moonlighter manages to animate how its world and characters interact and move with fluidity. This attention to detail really did help the game stand out to me. The title is set in a town known as Rynoka, which is conveniently located near a set of gates that lead to a whole bunch of different realms and dimensions. A young shopkeeper named Will uses these gates to collect a whole slew of unique weapons, armors, and items. You’ll take as much as Will can carry back to the shop, where you then set your own prices for everything you find. You’ve got a huge encyclopedia filled with tons of different items that you can find in the game. Once you open up shop again, you’ll have customers swarming in and you can see how they react based on the prices you set. Your encyclopedia will automatically mark down what prices worked the best and what don’t. I’m sort of an addict when it comes to gathering collectibles, so this really got me excited when I saw it. Players can also use the money they acquire to hire an assistant, upgrade their shop, and more. Customers will often occasionally offer you quests where you’ll have to get them a specific item. I also forgot to mention that if you’re too greedy with your pricing, there’ll be a higher chance of thieves getting involved with your shop. The shopkeeping phases of gameplay ended up being my favorite part of Moonlighter. The few realms I got to experience weren’t very difficult, but the developer assured me that enemies will increase in difficulty as you progress. The enemies you’ll encounter range from some things that players might expect out of a game like this, but there are also a few enemies who are very strange. Some enemies move in unconventional ways and only take damage in a specific way that’ll require the player to experiment. Taking on each realm slowly might be your key to getting the most out of each run. Your inventory is limited early on and dying could cause you to lose all of your items, although there are some ways that you can work around this. You can take some supplies with you to prolong your time running through different areas but they don’t last forever, and when you’re significantly closer to death, going into another area could cause you to meet your demise. There are also boss battles that’ll be included in Moonlighter. I only got to experience one and didn’t last very long, but from what I did experience, the bosses aren’t a cakewalk. Like the more unique enemies in the game, players will have to figure out each of their attack patterns and weak points. As for the rewards you can reap after defeating a boss, I have no idea what awaits. Moonlighter has no shortage of weapons from what I experienced. I used the bow, sword and shield, great sword, and a fist-type weapon; each one felt unique and valuable in its own way. I’m personally a sucker for the great sword as it feels like such a tremendous force compared to everything else I used, but I’ll be sure to experiment with everything once I actually get my hands on the game. There’s also a rolling move that really reminded me of something straight out of The Legend of Zelda. It’s a conventional mechanic but it works well for this game. If you use it too much, you’ll also manage to roll yourself right off a bunch of edges like me. You can interact with locals in your town as well as a few other shopkeepers, as each of them can sell unique items or services to Will. I didn’t get too much time to interact with these characters in our demo, but I’ll be interested in seeing how things in town get during the late game and how those shopkeepers also develop. The two phases of gameplay continuously felt engaging to me. Developer Digital Sun was inspired by the likes of Rogue Legacy, The Binding of Isaac, and The Legend of Zelda, and it really shows in this game. 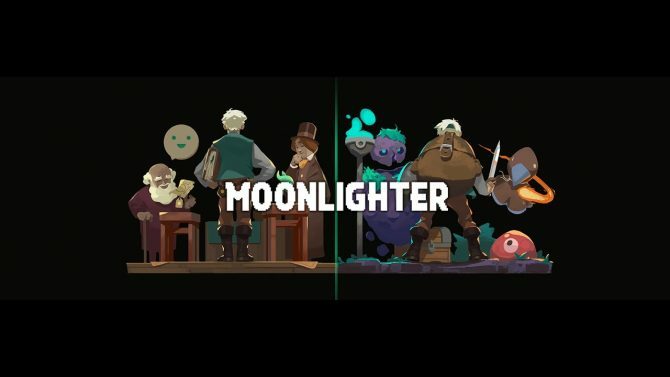 They’ve taken a lot of mechanics from other games but have blended them in a way that gives Moonlighter an identity of its own, and that’s really got me excited for it. 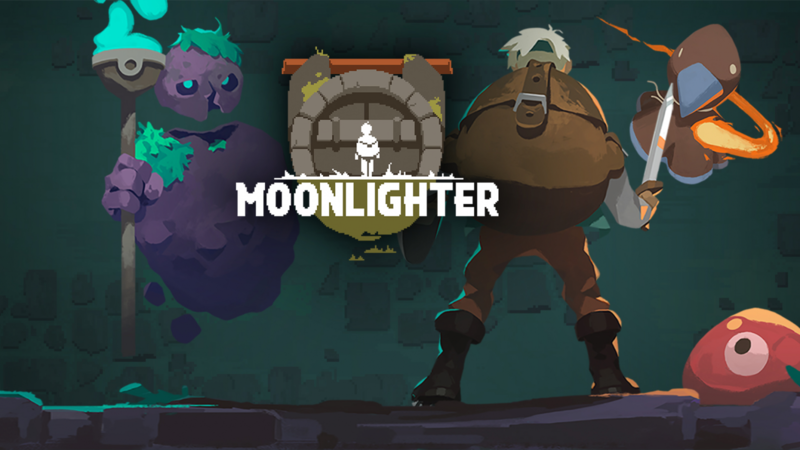 Moonlighter is coming to just about every current platform on May 29 with the Switch version coming later this year, so there’s really no reason you shouldn’t check it out. I know I’ll be grabbing it on either the Nintendo Switch or PS4. If you don’t happen to own one of those consoles, it’ll also be available on PC and Xbox One.